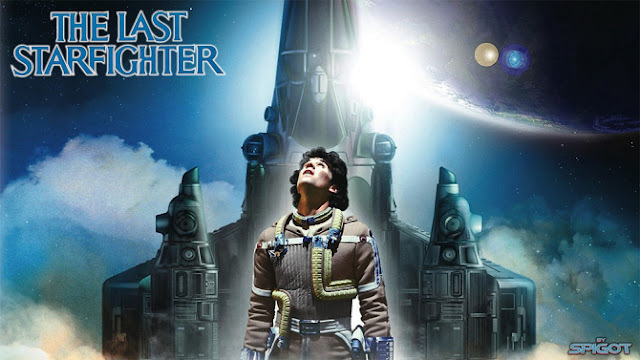 According to Variety, a new TV series based on The Last Starfighter is currently in development. "The Starfighter Chronicles" will include the original film's writer Jonathan Betuel along with the Surreal entertainment company which will attempt to make it one of the first TV shows to incorporate virtual reality scenes. The new show, which is still in early development, doesn’t directly continue the original “Starfighter” story, which catapulted a teenage video-game fan into outer space to fight in an interstellar war. Instead, it’s a serialized story about alien law enforcement. “It’s about instilling a moral code,” said Betuel during a recent interview. The Last Starfighter was one of the first movie to incorporate computer-generated images and the new series hopes to keep the same innovative spirit. It will be filmed for ordinary televisions but include scenes that will break frame for viewers equipped with VR headsets. No time line or TV network has been formally announced. After failed attempts to produce a sequel or reboot film over the past several years, do you think this new TV series is a good idea?